After receiving his Bachelor's from New York University in 1993, Dr. Aqeel graduated and received his doctorate in dental surgery from the NYU College of Dentistry. Dr. Aqeel did his residency at Saint Barnabas Hospital Dental division, where he received training and honed his skills in comprehensive dental treatment planning. 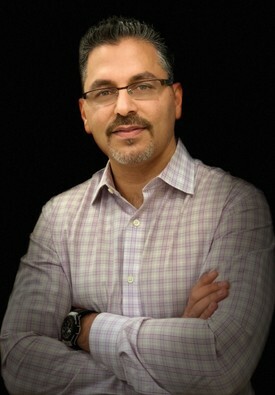 After becoming Board Certified, Dr, Aqeel began to practice in Connecticut. In addition, Dr. Aqeel participated in an advanced Implant seminar at Montifiore Hospital; where implant placement was emphasized. He later attained membership status to the International Congress of Oral Implantologists and the Academy of general Dentistry and participated in the XXVI Inter American Dental Congress, sponsored by the Spanish American Medical Dental Society of New York. On a personal note, Dr. Aqeel is happily married with 3 lovely girls whom attend the local school district. In addition, he is proud to have served his country in the United States Air Force Reserve for 5 years. After receiving his Bachelors of Science degree in Biological Sciences and Bachelors of Arts degree in Anthropology from the University of California at Irvine, Dr Atalla attended New York University College of Dentistry. Along his studies to obtain his dental degree, Dr Atalla was elected to many posts, among them, Class president as well as student council president. Dr Atalla was the recipient of many awards, such as the Pierre Fauchard Scholarship, the Hinman Award, the Dean award and many others. 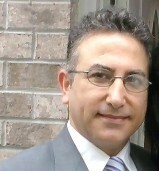 After obtaining his Doctorate of Dental Surgery degree in 1999, Dr Atalla completed an Advanced Education in General Dentistry residency at NYUCD where he was elected Chief resident. He later chose to pursue a post doctorate degree in Orthodontics and Dentofacial Orthopedics at New York University. Since obtaining his post doctorate degree in orthodontics in 2002, Dr Atalla, has been practicing his profession with passion and vigor. He is a member of the National Society of Dental Practitioners and a proud member of the New York State Troopers Police Surgeons Group. He is also a police surgeon for Dutchess county sheriffs' office and Westchester county police.